Fixed the Deku Tree's mustache color. Fixed the transparency on the climbable vines. Fixed a missing collider on a wall in the water. 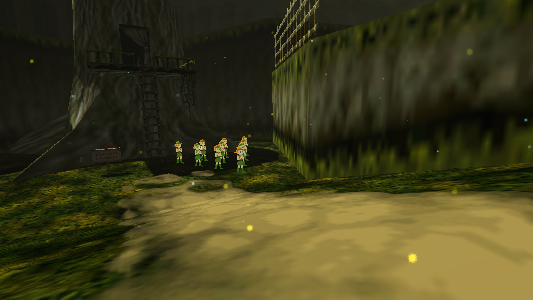 Added the "Forest Training Center" area that you reach by crawling through the tunnel, for the goal of getting the Kokiri sword in the real game. Added the ability to crouch/crawl so you can fit in that tunnel. Animated the Boulder in the Forest Training Center. Added music. It's not perfect, but it's close. It plays the intro and loops as it should! Added sound to the Boulder. Moved the Jump button from "F" to "Space", where it belongs! Added scene selection and set it to the Tab button. Added a separate "Night" scene. Added a "Elf Bowling" mini-game. Available from the scene select. Added a "Collect the Boulders" mini-game. Available from the scene select. Added another scene that I won't spoil. Of course, available from the scene select. Added some shadows to the "Fantastic" quality mode. They're not perfect, but good enough. 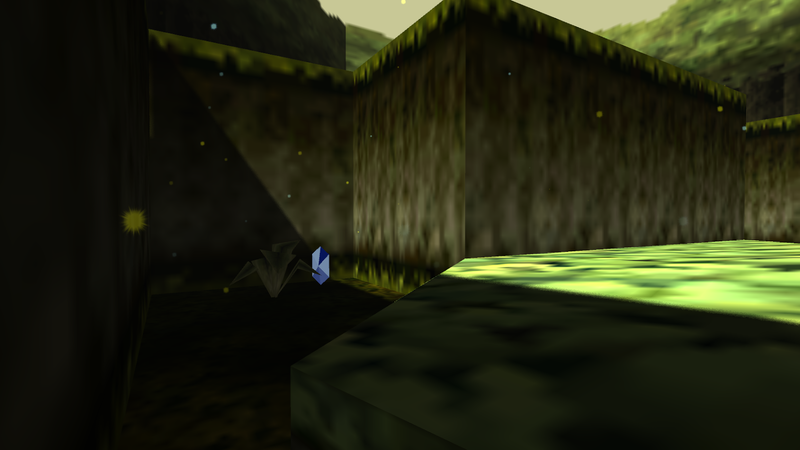 Improved the Rupees to look/shine a lot more like the real game. If this list seems a little light, keep in mind some of these things required several sub-tasks I had to tackle. And there were a few things I experimented with, but didn't finish to a point for them to make it into this release. And as I mentioned, I had a Cold this past week, so at times I just couldn't work on this when I would otherwise want to. Fixed a bug where the ladders and vines were unclimbable in all scenes except for the main one. This particularly made the collect mini-game scene unbeatable. I had enough time on my trial to rush out a few fixes. You only need to download this if you have not downloaded the previous v2, or have downloaded it but plan to play this again or show it to other people at some point. I've replaced the old links with v2.1. You can read whats different below. Changed the shader on some vines. Added Crouching to the gamepad controls. Added Scene Select to the gamepad controls. Fixed some flickery shadows on the bridges. As before, there's a ReadMe.txt in the package that covers the general info, so please read it. And this time I added a update log. Outside of any emergency fixes, this will probably be my last update on this project as my Unity Pro trial expires soon. It's not completely out of the question that I might work more on this stuff. The main issues are being able to compile games and demos with proper Rift support (requires Unity Pro) and the fact that I want to continue my learning. On the latter, I certainly could use such a project as a canvas for my learning, but I may have a need to remain focused on other things to learn things the best way possible. 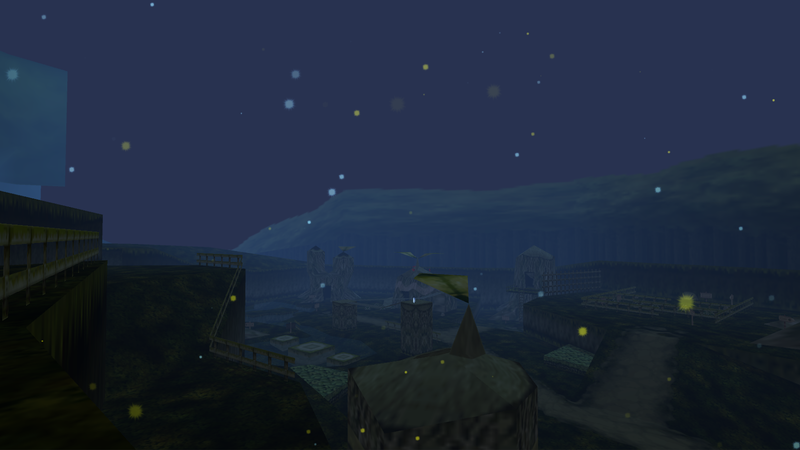 If at some point I continue from this, it would likely be to add more areas other than Kokiri Forest, as that's what people seem to want the most. More to explore! Logically, if I did do that it would be under a new project name. I may also want to try my hand at doing this with other games too. I have 2-3 in mind to consider. I'd really like to progress further with my learning though, and make strides toward designing and creating my own game. I think I'm still a bit away from that goal though. I wrote the following article a week after I released this project. I think some people may find it interesting, so check it out! Feel free to comment and make suggestions. I would love to make more articles, but I don't know what people would find interesting. Thank you! 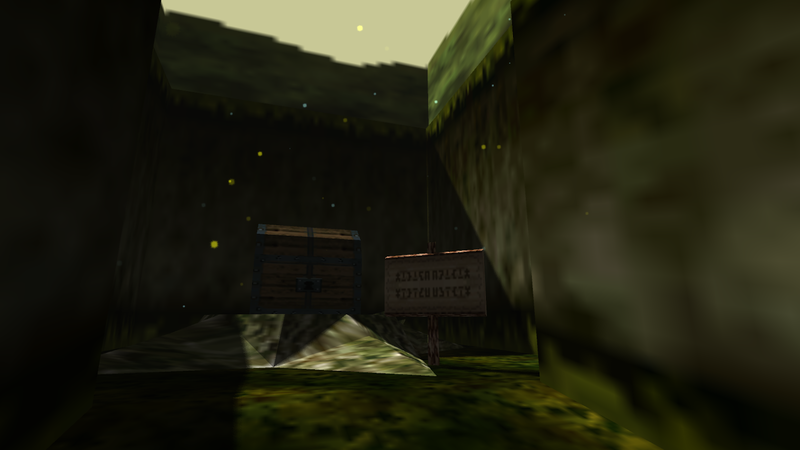 I should be good on trial keys for now though, which is why I decided to continue this under "Project: Ocarina".